Oh no, himself said to me as he watched me pondering what to have for dinner. It's sunny and that means the annual search for salad has arrived! As soon as the weather warms up I start to crave lighter, healthier food and drive him bananas searching around the city for the perfect summer salad spot. Andrew has come up with some simple, tasty recipes for summer days,using Brennans Wholewheat soda bread which is, coincidentally, my favourite. Emily and I are actually trying not to cry - we had to leave before the brown bread ice-cream. Sniffle. Irish soda bread is, take it from me, delish and this one is tastier than most (no, sadly, they're not paying me a penny to write this post!). I've been eating very little else throughout the past week (ice cream and pink fruity wine totally don't count). 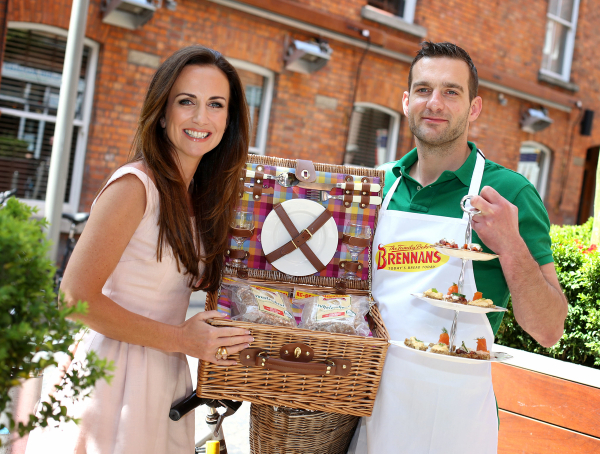 Check out the recipes on www.brennansbread.ie and tell me, do your eating habits change during the summer? It looks so delicious!!! Omg'd! Can't wait to be eating proper Irish bread again... I have missed you Brennans! Nice, the food looks amazing. OMG, this chef..err food is so yummy!!! Thanks for sharing! Hope you are having a wonderful day! Ive never tried this the of bread before, sounds so great! I also crave salads and lighter food in the summer, I've never tried soda bread, in my head it would fizz in my mouth like fizzy pop, but when I heard that this isn't true, I decided against trying it because of the disappointment factor. Ha. I could go for some of the brown bread right about now! I definitely tend to eat more cold meals like salads during the summer, mostly because they are quicker and easier than making a hot meal. I actually had white bread for the first time in years the other day and realised I wasn't missing much, I love whole grain and brown bread, especially the Avoca one. To die for with soup!! 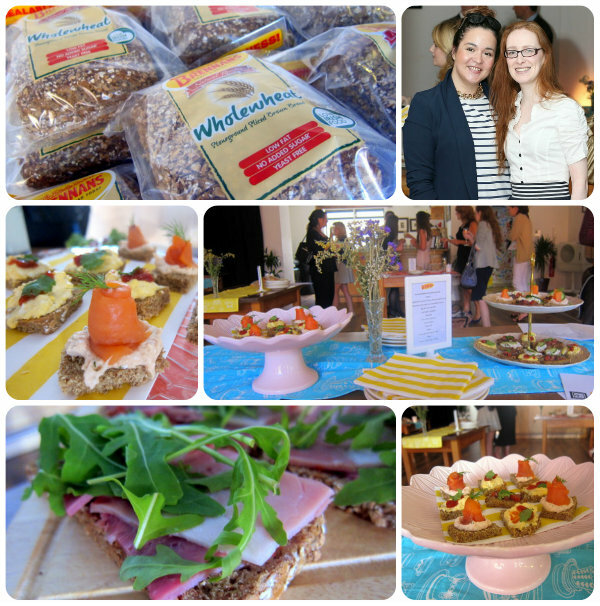 Food events are always fun! You look cute in your stripes!